This week for Anime Sunday I’m covering the top anime of this season. It’s the Winners of Winter 2016! Grimgal: Easily one of the most beautiful and well done Anime I’ve ever watched, it’s a pity that it’s only got a single cour of episodes. I really enjoyed this series, because it takes the transported to another world genre and makes it realistic. Normal people aren’t going to become badasses immediately and they’re going to have their own share of issues and troubles. Grimgal did an amazing job with the pacing as well, taking it slow and it was incredibly well done because of that. Add on to that fact that the musical score was excellent and that most of the episodes even had insert songs was quite impressive. 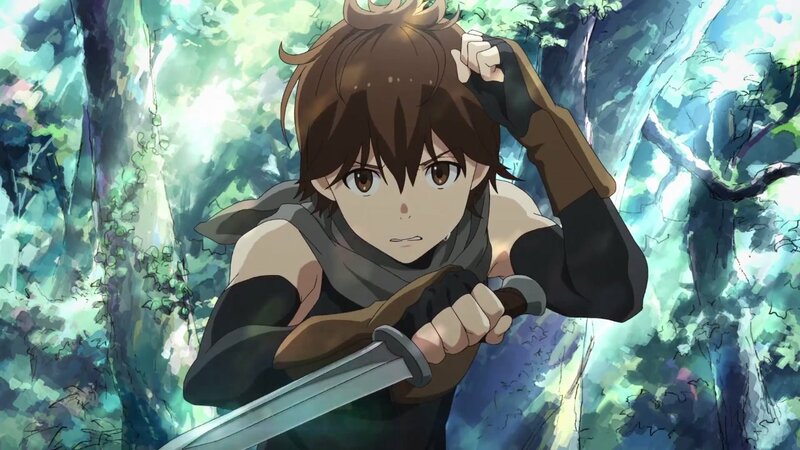 The artwork was superb and I can’t think of a series not done by ufotable that has such an amazingly well done animation. Gate: The second cours took things to new levels and really emphasized the political aspect of Gate quite a bit. I enjoyed it immensely. I’ve even gotten my elderly aunt hooked onto the show, though she’s currently watched up towards the end of the first season. There are other shows others probably enjoyed as much as I enjoyed the above two, friends rave about Dagashi-kashi, but I wasn’t ever really into comedy shows. Slapstick just isn’t my thing. One update to last week’s article, apparently Reikenzan is getting a second season. Why it’s getting a second season I have no clue. This week for Anime Sunday I’m super excited to discuss what I’m looking forward to watching! It’s all about my Most Anticipated Winter 2016 Anime! Ao no Kanata Four Rhythm: This is an adaptation of an adult visual novel, that I have little to no clues about, but I’m hoping it’ll be good. The VN had amazing artwork and I’m expecting this series to be very good in terms of that. The plot revolves around some girls who participate in a futuristic sport that has them flying through the air. Hai to Gensou no Grimgal: I’ve read maybe the first two chapters of the Light Novel that this is an adaptation of, and I’m always a sucker for Alternate World series. Hopefully this will be good, I’ve got higher hopes for it over the next series I’m going to talk about. Kono Suburashii Sekai ni Shukufuku o! : Yet another Alternate World series, this is going to involve a lot of comedy. I’m not totally psyched for this series, but I’ll give it a shot. Hopefully it proves me wrong and blows me away. I have read the first Light Novel that this is adapted from and while it wasn’t terrible, it wasn’t super gripping either. Musaigen no Phantom World: Another Light Novel adaptation, I’ve never read the original source so I’m looking forward to something completely new for me. I always enjoy a new story, 99% of the time. Hopefully it doesn’t disappoint. Reikenzan Hoshikuzu-tachi no Utage: This seems to be a Chinese Web Novel adaptation, a genre I’ve come to enjoy immensely in the last few months and I’m stoked for this series. hopefully this series blows everyone away and we’ll see more international co-operation for more series from China like I Shall Seal the Heavens! Saijaku Muhai no Bahumut: This series adapted from a Light Novel’s plot probably isn’t going to impress me nearly as much as Rakudai Kishi no Chivalry did this previous season, but as it’ll be produced by the same studio I’m at least super excited for the artwork. 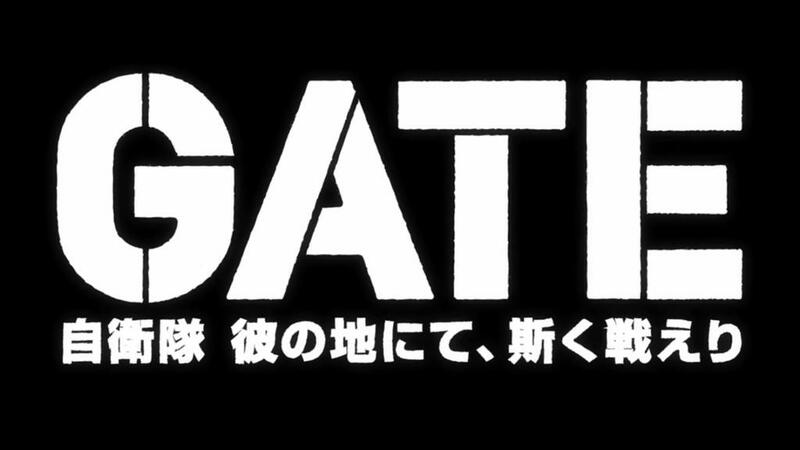 GATE: This is the second cour of my favorite Summer 2015 series and I’m looking forward to more geopolitical intrigue and action with Itami and his squad. That’s it for this week’s Anime Sunday! I’ll see you all next week! This week on Anime Sunday I’m covering my initial reactions to Gate: Jieitai Kanochi nite, Kaku Tatakaeri first episode. Plot Synopsis: When a portal from another world appears in Ginza, Tokyo, a legion of soldiers and monsters emerge to attack the city. Plot: So far the plot is pretty freaking amazing, and it doesn’t shy away from the fact that this is a super bloody and serious series! I was so happy to see the first on screen blood that I nearly jumped for joy, a reaction I very rarely have for seeing animated blood. The even better news is that this series will be a 2-cour and run for 24 episodes! Characters: I’m assuming we’ll get to meet more of the cast, but so far we’ve pretty much just met Itami an Otaku who works to support his hobby. I think I’m really going to enjoy the entire cast of characters. 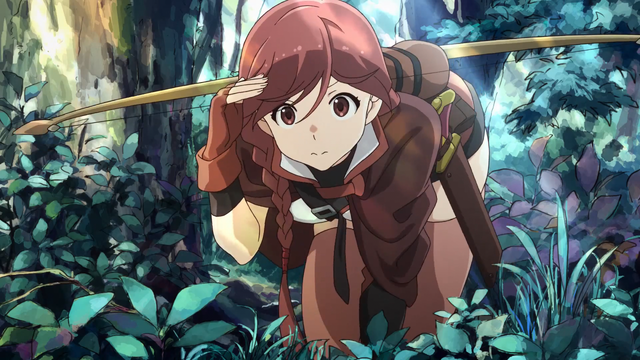 Art: The animation is done by A-1 Pictures, recently known for their animation of the Sword Art Online series. It’s not ufotable quality, but it’s not nearly as bad as Toei. That being said I was quite happy with this first episode’s art. Let’s hope it can keep up. One thing of note is the absolutely awesome opening and ending sequences, as they are beautifully animated. Music: The soundtrack is fantastic and I adored the opening and ending themes. I was particularly happy to hear one of my favorite J-Rock band, Kishida Kyodan and the Akeboshi Rockets, performing the opening song. The ending is sung by the female cast from what I could read of the credits, but don’t quote me on that. Overall: This is going to be a fun series to watch every week.